Savoury and Sweets, Harajuku is inspired from a locality in Tokyo, Japan, which has a distinct flavour, colour and vibrant culture of its own! Harajuku is a recent addition to Bandra which draws inspiration from the area of Harajuku in Tokyo. The area known for its vibrant teenage culture and quirky fashion style. The space is small but has a dynamic ambience with colourful doodles and images of the people sporting quirky outfits in Harajuku. Their wall even has a neon sign board that reads “It’s Harajuku baby!" Coming to the food, they serve Japanese street food both, sweet and savoury - straight out of Japan! 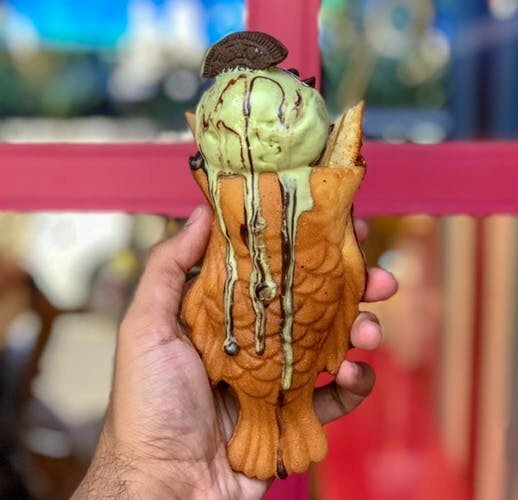 Their quirky menu consists of sweet and savoury crepes, Dorayaki (cute stuffed pancakes), and the Instagram-worthy — Taiyaki, which is the Japanese version of a waffle that comes in the shape of a fish and is stuffed with different components, is also highly recommended. 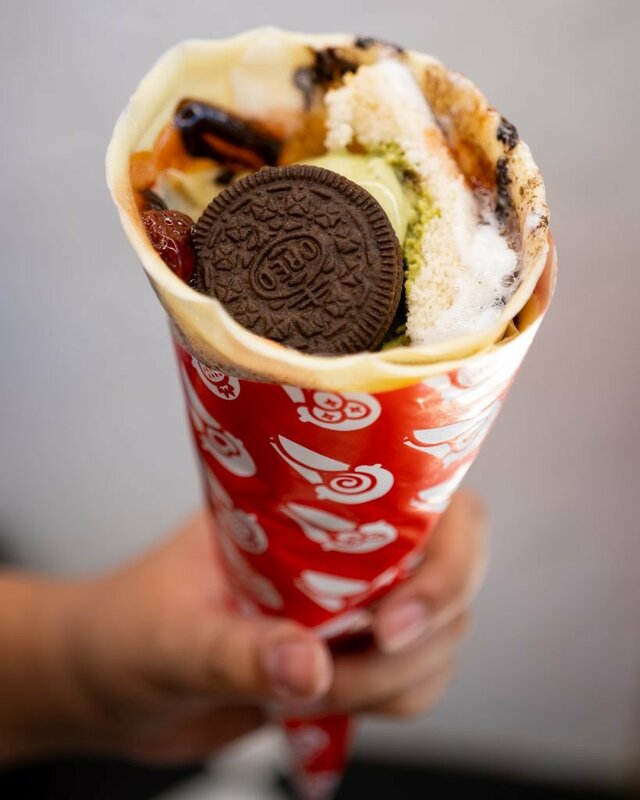 Matcha Crepes, Shrimp Okonomiyaki, and the Matcha Affogato (vanilla ice cream + hot matcha tea poured over) are a few must-haves here. Also Read: This Psychedelic-Themed Restaurant In Thane Lets You BYOB! Harajuku brings a piece of Japan to Mumbai, and if you're looking for a quick bite, you should definitely head there! Mind you, this place isn't the biggest as it can house only 8-9 people at once, so plan your meal accordingly. A small place with loads of Japanese magic, Harajuku is a must visit!